I stumbled my way into using digital homeschool curriculum with my kids when we started following a child led homeschooling journey. I didn’t know anyone that had used it personally, so I just figured things out as we went along. There are many things I wish I had known back then like why people loved using digital homeschool curriculum and how to save money using it! Once I began using digital homeschool curriculum as part of our homeschooling journey, I was hooked! I still love turning the pages of a book, but as my children have gotten older the benefits to using digital homeschool curriculum have increased. However, for those of you that may just be getting started using it or are interested in how to use it best I’m here to help you find your way! It is really easy to get started with digital homeschool curriculum. It begins with the same step you’d take if you were shopping for physical homeschool curriculum. Just as there are countless homeschool curriculum publishers out there, the same is true of digital homeschool curriculum authors/creators. 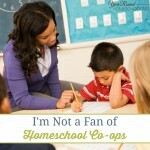 Many of them are homeschool moms that are passionate about helping fellow homeschool moms on their own journeys. (Like me! 🙂 ) They want to take what they’ve learned along the way and share it with other homeschool moms. A few of my favorite places to get digital homeschool curriculum are; the Build Your Bundle Sale (coming soon!! ), 7 Sisters Homeschool, Techie Homeschool Mom, Currclick and Amanda Bennett. When using digital homeschool curriculum there are a few “tools of the trade” that will prove invaluable to you and your kids. Take into consideration the digital homeschool curriculum you’ll be using this year and start with the tools and resources you need. For example, when my children were younger we didn’t use devices at all, but now that they are in middle and high school most of our digital homeschool curriculum is rarely printed. As an OCD, over the top planning homeschool mom, this is probably the most important part of using digital homeschool curriculum. Whether you store all of your digital homeschool curriculum on a cloud, like Dropbox, on your personal PC, your kids PCs or external hard drive, it is important that you organize it in a way that makes it easy to find and sort things in a way that makes sense to you and your kids. I made the biggest mistake on this step when I first started using digital homeschool curriculum! When you’re just getting started with digital homeschool curriculum your first instinct is to print EVERYTHING. All 365 pages of the PDF file you just downloaded onto your pc. WAIT! Don’t! That is not always the answer. As a frugal homeschool mom that has used digital homeschool curriculum for several years now, that is almost never the answer for me now. Before you hit the print all pages button, take time to look through the entire curriculum. 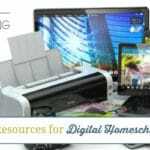 Decide whether or not you need to print it all, part of it (note which pages you want to print) or if you (or your kids) can read/use that digital homeschool curriculum on a device or PC. If you or your kids can use it on a device or PC solely, make sure that you have the file uploaded to the appropriate device or PC. Each homeschool mom (or dad) often has their own method of grading. Often that works perfectly with digital homeschool curriculum! Depending on what type of digital homeschool curriculum you’re using in your homeschool, you may or may not have to grade your kids’ schoolwork. If you’re using online courses, sometimes it is graded automatically, however most printable digital homeschool curriculum will need to be graded by you. Moms love to save every piece of their children’s schoolwork. Ask me how many totes filled with my kids’ schoolwork are in our garage and I can’t even tell you, but it is there! When using digital homeschool curriculum it can be a bit more challenging to save the schoolwork your kids have completed. When my children were younger and I printed almost everything, before I knew what I know now, I saved everything. As my kids have gotten older though, we don’t print much. I have discovered that some digital homeschool curriculum has a certificate of completion at the end that you can print and save or you could save it to your homeschool file on your PC. I’ve also used digital homeschool curriculum that uses PDFs that allows my child to type the answers in and I saved the completed workbook to my homeschool files on my computer. If neither of these are an option for me, I either screen shot their final test score and/or keep all of their handwritten work from the course. 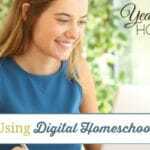 Digital homeschool curriculum made a world of difference on our homeschooling journey. It gave my children the opportunity to learn about topics and subjects that weren’t available in physical homeschool curriculum with a much more frugal price tag. I encourage you to try using it with your kids and see what they think — it may be just right for you too! 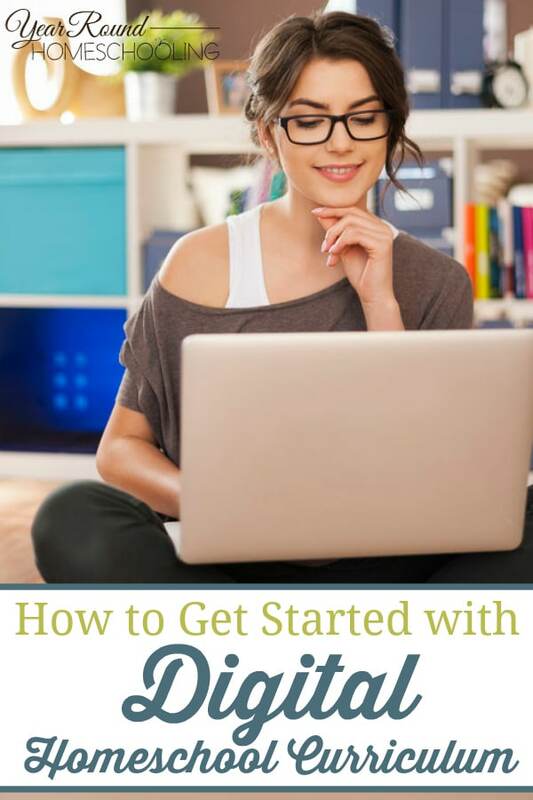 What is your #1 question about how to get started with digital homeschool curriculum?